Gaming Summer Camp - 3D Video Game Design and Development with Tech Camp! Kids and Teens Summer Camps for learning 3D Game Design and coding in C# using Unity Game Engine. Week long daytime and residential camps in London and the South - find out more today! Do you want to create your own 3D first-person style games? Learn how to use Unity, a professional game development engine that is behind half of the world's games! At our game design Summer camps for kids, learn how to create engaging levels, terrain and gameplay for both single and multiplayer scenarios. 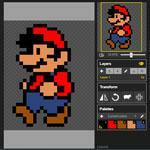 Create your own characters, animations, textures and weapons from scratch to use in your game. Learn coding and programming in C#, starting with the basics and ending up with writing all of the code that runs your game behind the scenes. 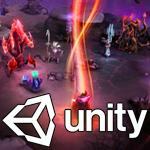 Use Unity Game Engine to develop your own professional quality 3D games. On our 2D Game Design Camp, learn how to design and create your own versions of classic games such as Pac Man, Space Invaders and a Super Mario style platformer game from scratch. Using GameMaker Studio 2, design every detail of the levels, scripting and controls that run the game - by the end of the week, you will have the skills you need to design your own custom games from scratch at home, with your take-home copy of the game design software. Design professional level games, graphics and sounds using GameMaker Studio 2.